The MSP country fiches are a reliable source of data on the MSP status in the Baltic Sea countries and Norway. The fiches contain maps and information on the sea areas, national laws and regulations, governance, contact information, existing spatial plans and plans under development as well as information on other MSP related developments. 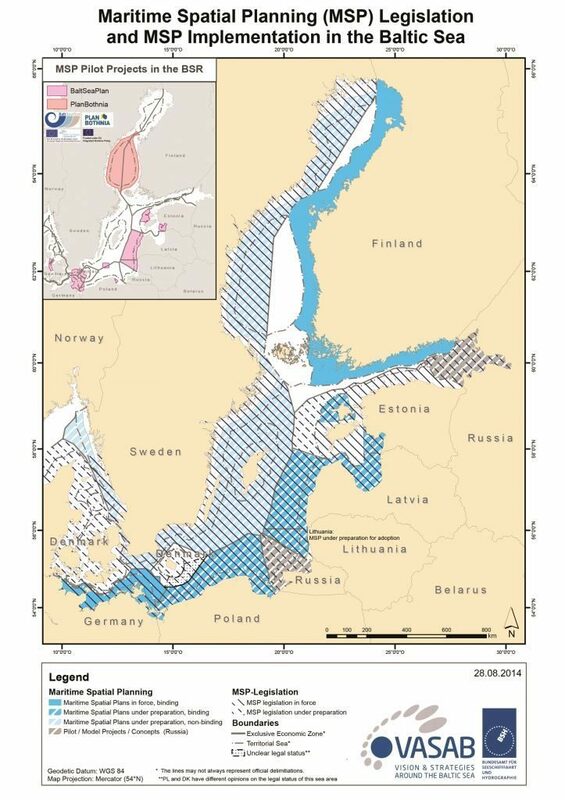 The updating of the fiches is coordinated by the Joint HELCOM-VASAB Maritime Spatial Planning Working Group based on an agreed procedure. Download the fiches by clicking on the countries name.